The authors introduce a theoretical framework enabling to process decisions making along some of the lines and methodologies used to mechanize mathematics and more specifically to mechanize the proofs of theorems. An underlying goal of Decision Support Systems is to trust the decision that is designed. This is also the main goal of their framework. Indeed, the proof of a theorem is always trustworthy. By analogy, this implies that a decision validated through theorem proving methodologies brings trust. To reach such a goal the authors have to rely on a series of abstractions enabling to process all of the knowledge involved in decision making. They deal with an Agent Oriented Abstraction for Multiagent Systems, Object Mechanized Computational Systems, Abstraction Based Information Technology, Virtual Knowledge Communities, topological specification of knowledge bases using Logical Fibering. This approach considers some underlying hypothesis such that knowledge is at the heart of any decision making and that trust transcends the concept of belief. This introduces methodologies from Artificial Intelligence. Another overall goal is to build tools using advanced mathematics for users without specific mathematical knowledge. 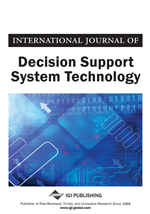 There are several methods and techniques to design a Decision Support System (DSS). A DSS is basically defined to be a computer-based tool to support business or organizational decision-making activities. An additional critical feature is to trust the result delivered by a DSS. In domains with uncertain knowledge, e.g., in the field of insurance, natural disasters, medical prognosis, etc., it is necessary to base decisions on the knowledge available in the best possible fashion. For these tasks, decision support systems are generally used. There are different types at the conceptual level, such as communication-driven DSS, data-driven DSS, document-driven DSS, knowledge driven DSS and model-driven DSS (Power, 2002). Repository layer, which bundles distinct information from several sources into one data access method. In Ontobayes the DSS is designed through the main pillars shown in Figure 1. Specific references are given in Yang and Calmet (2006). The components of the system are loosely coupled, such that the resulting DSS provides flexibility, reusability, scalability and implementation neutrality. Two main features of OntoBayes are that knowledge is at the heart of any decision making process and that trust transcend the concept of belief. To some extent, these characteristics should be combined into any system. Ontologies formally represent knowledge, influence diagrams support decision making directly, Bayesian networks could be used for uncertain knowledge (as discussed), Virtual Knowledge Communities provide a distributed approach to the management of knowledge whereas the implementation as Web-Service provides flexibility and transparency and the specific use of multiple agents gives the system a good chance at emerging knowledge and creativity. These are the goals of a new approach which considers a decision making process along the lines investigated in the mechanization of mathematics and specifically in automated theorem proving. This means that although we do not outline it in the sequel, we rely on methodologies and technologies of Artificial Intelligence. A basic introduction to AI is found in the classic book of Russel and Norvig (2009). In this article we are going to design abstractions and methods that generalize the main features introduced in OntoBayes in a bottom-up, distributed fashion, using Virtual Knowledge Communities (VKCs) for the implementation of knowledge and the provision of trust and Logical Fiberings as proposed by Pfalzgraf (2000) for the projection of each agent’s data universe.